The isle of Anglesey is home to some of the best beaches in Wales, and indeed the UK. It also has some of the country’s most dramatic and varied coastline, with some incredible cliffs and offshore islands along the way. Our guide to the best Anglesey beaches and coast takes you on a full 125-mile (200 km) circuit of the island. 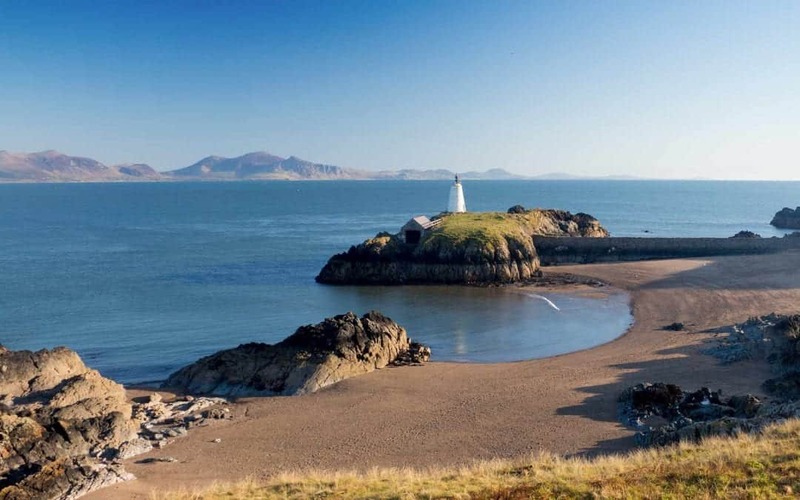 It’s a comprehensive tour taking in these outstanding North Wales beaches, and also suggestions for some of the best Anglesey attractions to visit. 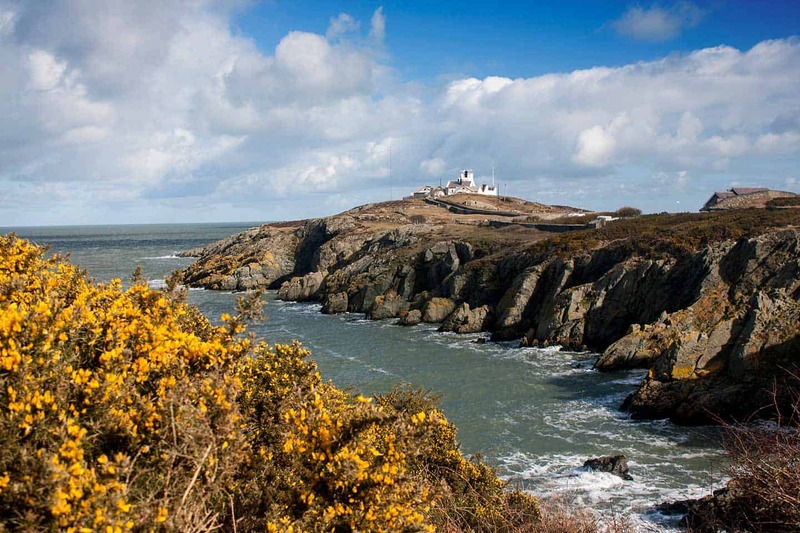 We also show you some of the best Anglesey coastal walks, and show you some places which would make great bases for Anglesey holidays. So without further ado, let our tour of Anglesey begin. Anglesey (Ynys Môn in Welsh) is the largest island in Wales in the United Kingdom. It’s situated off the north-west coast of Wales, and is separated from it by the narrow Menai Strait. It has several smaller offshore islands around its coast. The nearest mainland towns are Bangor, near the eastern end of the Strait, and Caernarfon, at the south-western end. If you’re staying in Snowdonia, Anglesey is within easy reach for a day trip. It’s only around a 40-minute drive from Betws-y-Coed, on the other side of the National Park. This stunning sweep of sand is one of the best beaches in the UK. It’s hidden away down a forest road, 3 miles (5 km) from the village of Newborough and the main A4080 road. Its setting is breathtaking, with views across Caernarfon Bay to the mountains of Snowdonia and the Llŷn Peninsula. 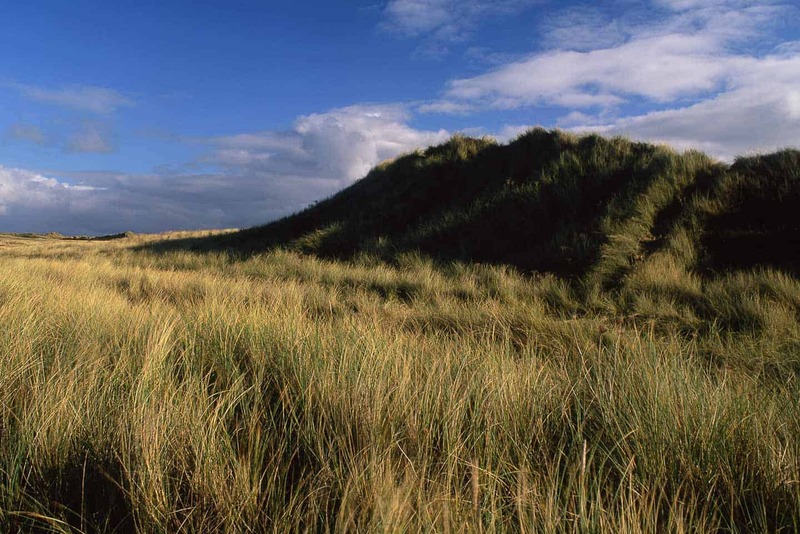 The beach is wonderful to explore, with vast open sands, dunes, and forest walks. It is also the main access route to our next stop, Llanddwyn Island. Getting there: Newborough village is on the A4080 road around the south-west of Anglesey. The Newborough beach car park is at the end of a 3-mile (5 km) road through Newborough Forest. This is clearly signposted from Newborough (follow the brown Traeth Beach sign). It costs £5 per day to park there – you can pay by cash or contactless card. Llanddwyn Island is one of the most beautiful islands in Europe. It’s a 40-45 minute walk from the car park along Newborough beach to the Llanddwyn Island beaches. Every step of the way, you’re surrounded by some of the best scenery in the UK, with those views across the sea. It’s a staggeringly beautiful place, one I’ve returned to again and again. The short trek there means that it’s never crowded. 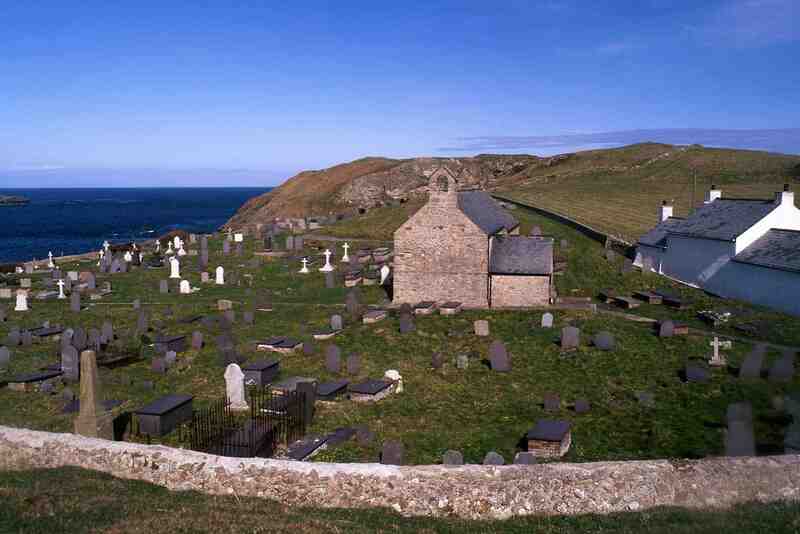 It’s the site of a monastic foundation by St Dwynwen, who has been adopted as the Welsh patron saint of lovers. The main path across the island passes the ruin of the medieval chapel dedicated to her. As you reach the end of the long, narrow island you’re greeted by the sight of three beaches and two white lighthouses, with the mountains of the Llŷn Peninsula forming the stage set backdrop. It takes a fair effort to reach it, so pack a small picnic and savour this magical place for a few hours. Getting there: It’s the same drill as for Newborough beach above, with the additional 20-30 minute walk along the beach to reach the island. It’s worth checking the tide forecast prior to your visit, as Llanddwyn is a tidal island, which is sometimes cut off for an hour or two around high tide. Malltraeth is one of the less known Anglesey destinations. It’s around 4 km (2.5 miles) inland from the village of the same name, on the broad, flat Cefni estuary. It’s the beach immediately to the north of Llanddwyn Island. It’s ideal for a long coastal walk. 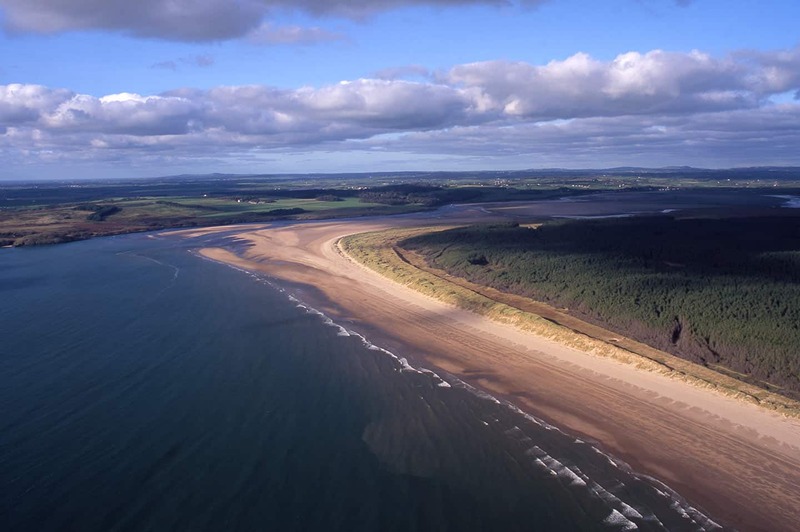 You can reach it either from Malltraeth village and along the estuary or on paths through Newborough Forest. Malltraeth is a vast long beach where you’re always guaranteed quiet. The views to Llanddwyn and across to the Snowdonia mountains are magnificent. Getting there: The nearest bus stops at Malltraeth village, from where it’s a 4 km walk one way to the beach. There are few signs of it now, but Aberffraw was once the capital of the princes of Gwynedd, and one of the main power bases in Wales. It’s now a quiet village near the west coast of Anglesey, reached by a road through the sand dunes, with two very different beaches close by. 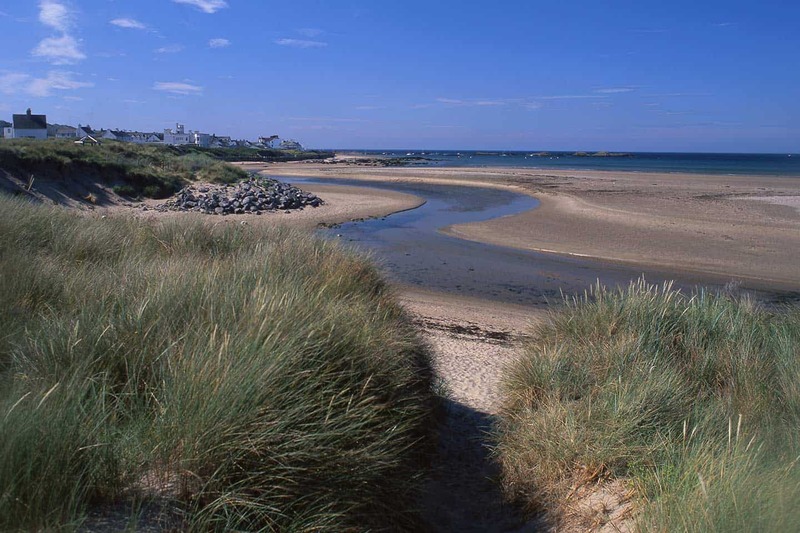 The main Aberffraw beach is a 10-15-minute walk along the river from the village. 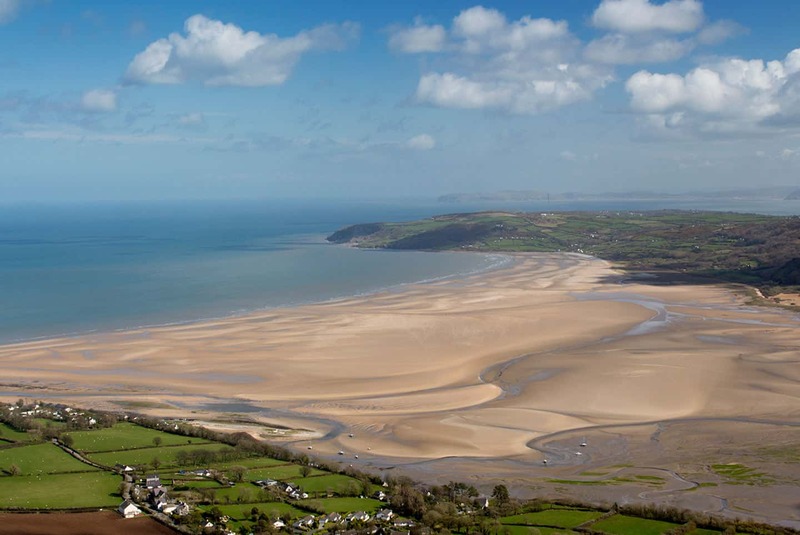 As you reach the estuary, the beach opens out, as do views across to the North Wales mountains. Getting there: Aberffraw is on the main A4080 road, and is the terminus of the 25 bus from Holyhead which runs every two hours. Porth Cwyfan is a rocky cove around two miles from Aberffraw. There is only room for three or four parked cars at the end of the narrow minor road. It’s worth visiting for the striking medieval church of St Cwyfan (the Irish St Kevin) on a tidal island in the bay. The church was saved from ruin by the construction of the seawall around the circumference of the island. 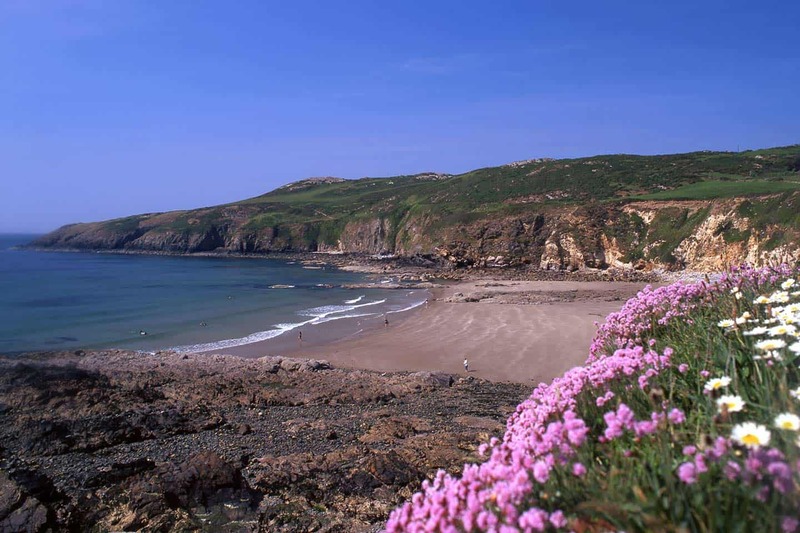 Cable Bay, or Porth Trecastell, is one of the most pleasant places to visit in Anglesey. It’s a small sandy bay with cliffs either side, with dunes at the back and rock pools to one side. Our little fellow adored it when he visited as a toddler. It got its English name from a telegraph cable that once ran from there to Ireland and on to the United States. On the north side, you’ll find one of the most intriguing historic sites in Wales. Barclodiad y Gawres – which translates as ‘the giantess’s apronful’ – is an ancient burial chamber, possibly up to 5,000 years old. Getting there: It’s on the main A4080 road. Alternatively, the Aberffraw to Holyhead bus – number 25 – passes by every two hours. The coast to nearby Rhosneigr is largely open and flat, and it becomes harder to define where beaches start and end for a mile or two. It’s quite easy to miss Porth Nobla – look out for the distinctive white roadside cottage, this is where the beach is at. The stretch of sand immediately to the north is Porth Tyn Tywyn. Getting there: It’s on the A4080 road and the 25 bus route from Aberffraw to Holyhead. Rhosneigr (pronounced Hross-nay-gr, sometimes Ross-nei-ger, rhyming with ‘tiger’) has a different feel to the rest of Anglesey, much like Abersoch is distinct from the rest of the Llŷn Peninsula. Over the last decade or so it has gone noticeably upmarket, with restaurant menus and accommodation offering something different to the surrounding area. The more popular Rhosneigr beach is Traeth Llydan, or Main Beach, to the south of the town. It’s renowned as one of the best surfing beaches in Wales, and its situation and orientation mean it’s also one of the best beaches in north Wales for kite surfing and windsurfing. The coast path runs along the dunes behind the beach. The other beach in Rhosneigr, Traeth Crigyll, is the other side of the town. It’s a little more sheltered, and great for exploring with kids, with dunes, a stream and shallow water to explore. The continuation of Crigyll is Traeth Cymyran, a vast, empty expanse of sand with the misfortune to have an RAF air base and airport built right next to it. Getting there: The main A55 road through the island passes close by: take the A4080 exit for Rhosneigr. Otherwise, the 25 from Aberffraw to Holyhead calls in the village. There’s also a railway station, which is inconveniently located 2 km from the village. 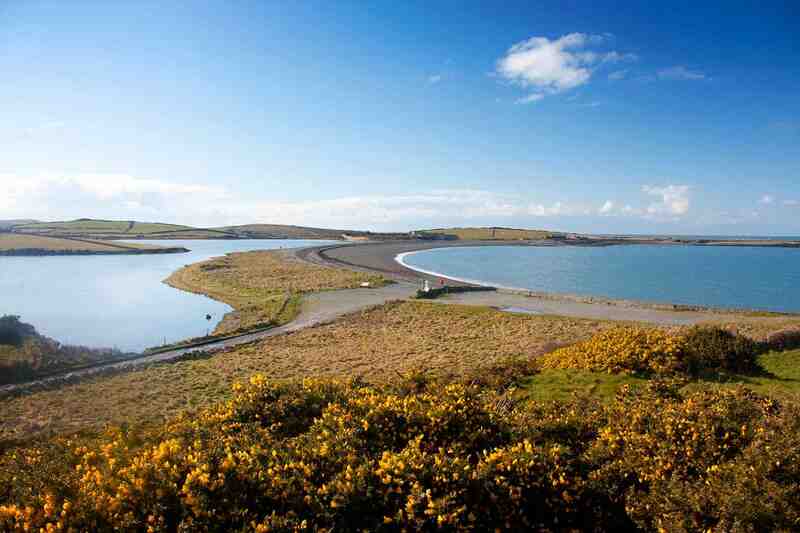 Our next port of call is on the neighbouring Holy Island, or Ynys Gybi, which also includes the busy port of Holyhead. Rhoscolyn covers the southern end of Holy Island. It’s a straggling village with no real centre, spread out around the narrow lanes. The south-facing part has two fine sandy beaches, Silver Bay and Borth Wen. As soon as you turn the corner to the west-facing coast, its character changes abruptly and dramatically. This section of coast has one of the best Anglesey walks. It’s around a mile (1.6km) from the village church to the rocky beach at Porth Saint. Here you’ll see Precambrian cliffs in various hues, from white to grey with the odd dash of pink. It’s a short walk over the headland to one of the best hidden gems of Wales, Bwa Gwyn. 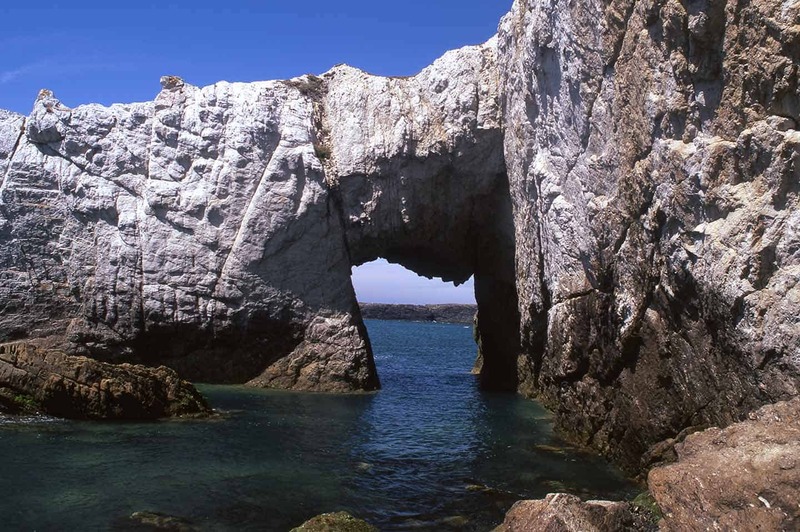 It’s a stunning brilliant white rock arch gouged out by the sea over thousands of years. Some hikers brave the walk along the top, while sea kayakers paddle beneath it at high tide. It’s a fantastic sight, and a great reward for heading off the beaten path. Rhoscolyn is also home to one of the best pubs in North Wales, the White Eagle. It has a very good bistro-style restaurant which used to receive the occasional visit from Anglesey’s former royal residents, the Duke and Duchess of Cambridge. Getting there: Ideally, you need a vehicle to visit Rhoscolyn. The 23 bus from Holyhead makes it to Rhoscolyn five times a day (Monday to Saturday), with the last bus returning just after 3pm. Trearddur Bay (Bae Trearddur in Welsh) is like Benllech in that it’s got something for all beach enthusiasts. There’s the main wide sweep of sand, and also rocky inlets and rock pools to investigate. The village itself is fairly quiet except during the summer season, when the beach is very popular. Getting there: It’s only a few minutes from Holyhead via the B4545. Otherwise the number 4 bus from Holyhead makes the 15-minute journey roughly every two hours. Porth Dafarch is a small but perfect package. It’s barely 100 metres across, with sand, rocks and rockpools and low cliffs either side. It’s also right next to the minor road that runs between Trearddur Bay and South Stack (see below). I’ve only stopped by briefly a couple of times en route elsewhere, but this beach is definitely a winner. It’s very popular with waterports enthusiasts, with sea kayaking, canoeing and sailing often just off shore. Getting there: You’ll need to go by car, taxi or on foot. The port of Holyhead is the first many visitors – by ferry and cruise ship – see of Anglesey. The town itself is not a good introduction to the island, but it’s close to some of the best Anglesey points of interest. The most obvious of these is South Stack lighthouse, two miles (3 km) and a world away from the dour port. The vertiginous hundred-metre-high cliffs are home to nesting seabirds, who whoop, swoop and dive along the swirling air currents below. Ellin’s Tower is the visitor centre for the RSPB (Royal Society Protection of Birds) Reserve, with great views and information on the birds that nest and live there. During spring, razorbills, guillemots and puffins nest there for around two months (usually May to July). You can also see choughs year round. South Stack lighthouse is one of the most iconic sights of North Wales, and you can walk the 400 steps down the cliffs to visit it. You will then have to ascend the same steps later on. It’s open between Easter and the end of September between 10.00 am and 4.00 pm. South Stack stands below Holyhead Mountain, the highest point on the west coast of the island. It’s well worth exploring the paths from the South Stack car park, which reveal an ancient Irish village and the remains of a Roman fort overlooking the modern town below. There are also some remnants of another Roman fort in the town, across the road from the port. Getting there: It’s a five-minute drive from Holyhead to South Stack. There are no buses, so if you want to catch a sunset there, book a taxi. The west coast of Anglesey, looking across Holyhead Bay, is a lovely, quiet stretch of coastline. The main A5025 road runs a few miles inland, so the coastal area feels unexplored and well off the beaten track. Porth Tywyn Mawr, also known as Sandy Beach, is tucked away near the village of Llanfwrog, and Porth Trwyn, to the north, is another fine sand and shingle sweep of sand. Our pick of beaches in this area is Church Bay, or Porth Swtan, one of the best beaches in Anglesey, hands down. It has a tremendous setting, backed by cliffs, with the golden sand punctuated by rocky outcrops and tidal pools. It’s fantastic to explore for curious kids, and the coast path reveals more of the glorious surrounding scenery. Getting there: It’s easy by car, turning off the A5025 at the Church Bay sign and following the narrow road down from there. Otherwise, the 61 bus between Holyhead and Amlwch stops by four times a day at Rhydwyn, just over a mile (2km) inland. The north-west corner of Anglesey is the most remote part of the island. North of Church Bay, there’s largely empty coastal heathland around Carmel Head. The walk from Church Bay around to our next beach, Cemlyn Bay, is very rewarding, with views back to Holyhead Mountain and out to the Skerries lighthouse, the last outpost of Wales. Cemlyn Bay enjoys a splendid location on the north coast of Anglesey – just keep looking the one way, west. The beach is a bank of sand and shingle, shielding the water of the lagoon behind. It’s another popular birdwatching spot, with terns nesting and breeding there. If you turn around and look east, you’re in for a surprise. The former Wylfa nuclear power station, which looks like it’s been constructed from giant building blocks, dominates the scene for the next few miles of the coast. Getting there: Driving is by far the easiest option, taking the A5025 and the minor road to Cemlyn Bay. The 61 bus from Holyhead stops at the Douglas Inn in Tregele, close to the Wylfa site a mile and a half from the beach. The village of Cemaes is home to the most northerly pub in Wales, The Stag, and a lovely small fishing harbour and Cemaes Bay beach. It’s a quiet little place, but well worth a stop for a couple of hours or so. Getting there: The A5025 passes Cemaes Bay, so it’s an easy drive. Otherwise getting to the village is easy by bus, with the 61 from Holyhead and 62 from Bangor both stopping there. The middle section of the north coast of Anglesey is one of the best sections of the entire Wales Coast Path. There aren’t many beaches on this stretch: this is exhilarating cliff walking, with big-dipper ascents and descents and fantastic views every step of the way. The tiny clifftop church of Llanbadrig makes an excellent starting point, and takes you into Anglesey’s industrial past. There are atmospheric remains of a china clay works in the cove at Porth Llanlleiana, and further along, a fascinating brickworks at Porth Wen. It’s something of a scramble down the hillside to get to Porth Wen, but it’s so worth the effort. The brick buildings are beautiful, especially the domed kilns, and there are some extraordinary rock formations to marvel at as well. Porth Wen beach is just to the south of the brickworks. You’ll seldom see a soul there, but it’s one of the most sublime Welsh beaches. Getting there: You’ll need a car for this one. The nearest the bus goes is Cemaes Bay. It’s very difficult to picture it now, but the north Anglesey town of Amlwch was once a thriving cradle of the Industrial Revolution. The town grew as a port for what was the largest copper mine in the world, at nearby Parys Mountain. In the 18th century it was a hub for thousands of mine workers and it still had over 40 pubs in the 1880s. Nowadays, there are five. Amlwch and the adjacent Amlwch Port don’t have a beach. Bull Bay to the west has a pleasant cove, while the town has an interesting harbour worth an hour or two of your time. The Copper Kingdom building on the east side of the quay has an intriguing exhibition on the history of the town and area. 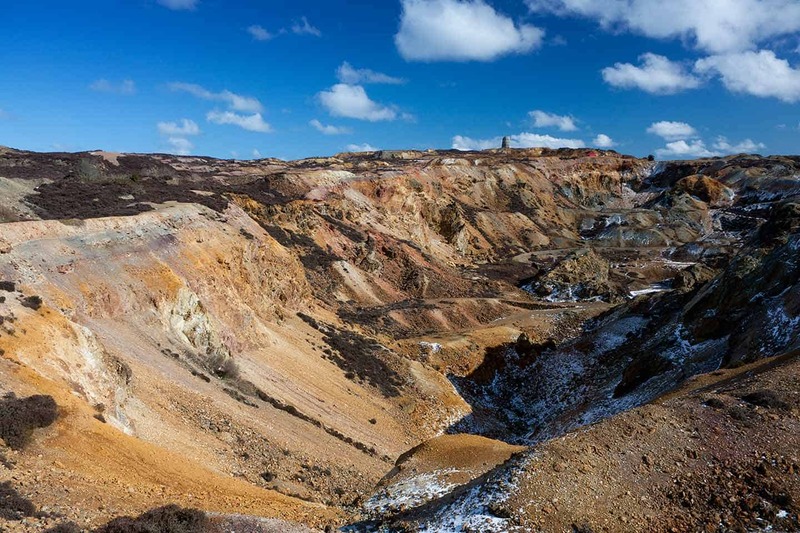 If you’re in the area, I’d highly recommend an hour or two up on Parys Mountain. It’s an extraordinary, other-worldly place. The ground is a vivid mass of bright colours, from copper and gold to ochre and pink. You could easily walk around the site in an hour and a half. Getting there: Amlwch is on the main A5025 road around the north of the island. Several buses also stop there, including the 61 from Holyhead and nearby Cemaes and the 62 from Bangor. The 32 also runs from Llangefni in the centre of the island – this service is useful as it stops on the edge of Parys Mountain. The closest beach to Amlwch is secreted away a couple of miles (3 km) to the east of the town. Tiny Porth Eilian beach is a lovely cove beach in the shadow of Point Lynas lighthouse, which dominates the headland to the right. It’s one of the more unusual places to stay in Wales, with self-catering accommodation there. If you’ve ever wanted to stay in a lighthouse, this is one amazing place to do it. Getting there: You’ll need a car to reach this spot: the closest the bus will get you is Amlwch. The Anglesey east coast tends to be quieter than the west, but you’ll find some of the best beaches in North Wales along this stretch. These two remote beaches are either side of the Dulas estuary, around three miles (5 km) south of Porth Eilian. Both require a walk of around 2 km to reach them, which explains the lack of footfall there. At low tide you can cross the estuary, walking between the two. Dulas Beach is to the north, and Traeth yr Ora is to the south. They’re both wonderful, but Traeth yr Ora beach is a particular favourite with visitors. Walking a section of the Wales Coast Path is one of the most rewarding things to do on Anglesey, and Amlwch Port to Moelfre is one of the best sections. It’s 20 km (12.5 miles) across undulating coastal terrain, with a pub – the Pilot Boat Inn – conveniently located around five miles from the end. Getting there: You can get to City Dulas by car or on the 62 Amlwch to Bangor bus. However, after that you’ll need to go on foot all the way. 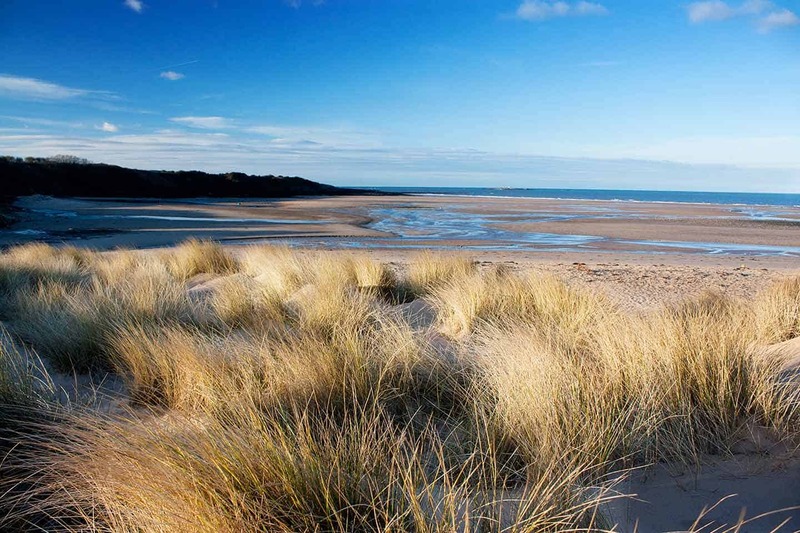 Lligwy Beach – Traeth Lligwy in Welsh – is one of the finest bays in Anglesey. It’s a wonderfully alluring curve of sand, backed by dunes and low cliffs. In season it also has a quirky little café open. Summer is the only time the beach ever gets busy – it tends to be very quiet in the off-season. Lligwy is also close to the fishing village of Moelfre, which makes a good base for exploring Anglesey. It has a small pebbly beach where the fishing boats are usually left. The cliffs between Lligwy beach and Moelfre are the site of the worst maritime disaster in Welsh history, when around 450 people were lost when the Royal Charter passenger ship was forced onto rocks in a ferocious storm. Getting there: The A5108 – which runs off the main A5025 road – is the route into Moelfre. Moelfre is on two main Anglesey bus routes – the 62 from Bangor to Cemaes and the 51 from Llangefni to Benllech. Benllech is one of the best Welsh beaches for families. It’s had Blue Flag status for a long time, so it’s very clean and easily accessible. One of the best things about the beach at Benllech is that it covers all tastes. There’s a huge area of sand, ideal for beach football and cricket. Then there are the rocks to the south, great for rockpooling and discoveries for the more curious. Getting there: The A5025 is the road route, and the 62 bus from Bangor to Cemaes also calls at the village. 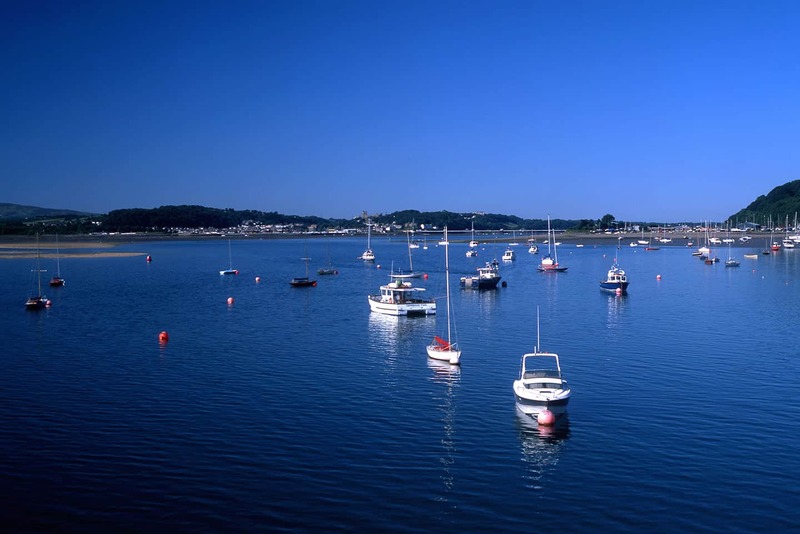 Red Wharf Bay is an enormous expanse of sand on the eastern corner of Anglesey. It’s known as Traeth Coch – Red Beach – in Welsh. It covers a vast area from Benllech in the north to Pentraeth in the south and Llanddona in the east. 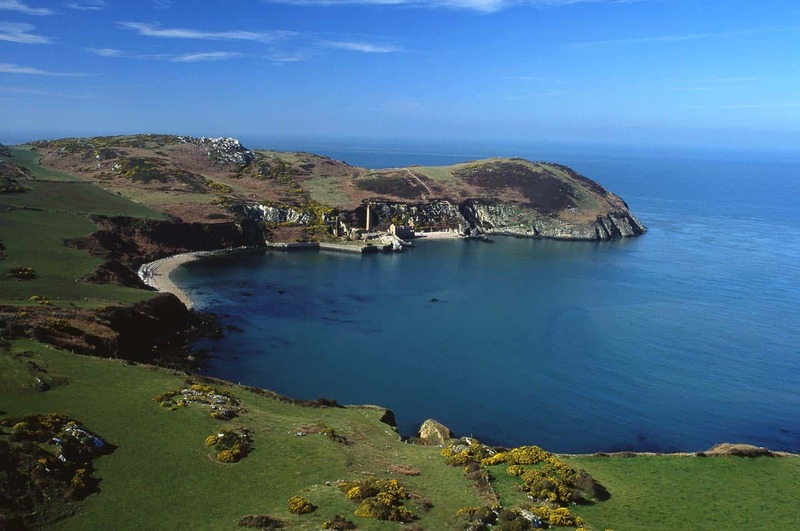 Traeth Coch is also known as Pentraeth Beach and Llanddona Beach in the areas around each of these villages. If you’re visiting Red Wharf Bay, you’ll need to consult tide times beforehand. At high tide the beach is completely submerged by the sea, so you need to plan your visit around a low tide. The tiny village of Red Wharf Bay is ideal for whiling away an hour or so until the tide recedes. I’ve had lunch several times at The Ship Inn, and it’s always been great. Getting there: The easiest way to get there is by car. The 50 and 62 buses both pass within 1 km of the village. 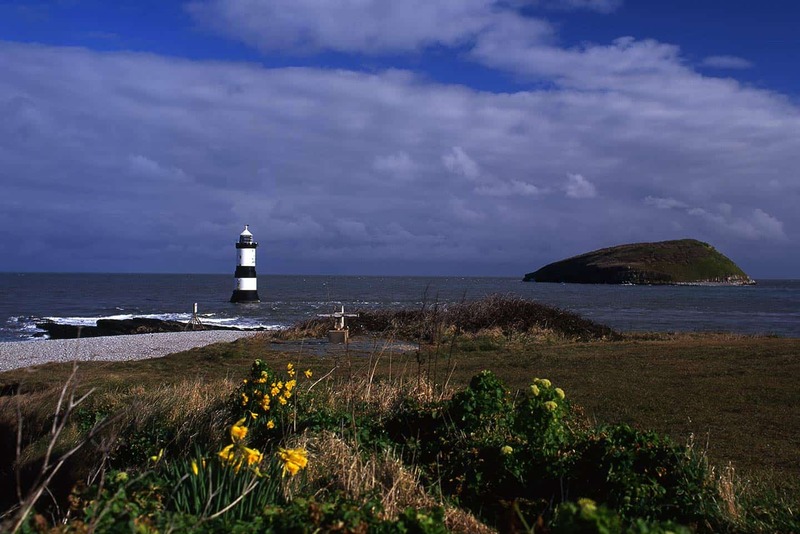 Penmon Point is an evocative location, a remote spot with a view across to Puffin Island and a lighthouse. The panorama to the right includes the mountains of the Snowdonia range and the Great Orme headland. The only sounds you’ll hear are the wind, waves washing the shore and the bell tolling near the lighthouse. There’s also a small pebble beach, and the Pilot House café which I’ve not had the pleasure to visit as I’ve been there too early in the day or too late. There’s a £3 toll to access the road, which is privately owned and in need of some maintenance. The toll person appears just after Penmon Priory. I’ve seen several cars turn around refusing to pay to use the road. It’s a pity, as it’s an exceptionally beautiful spot. If you don’t want to pay, you can always walk the short Wales Coast Path route there instead, parking up at the Priory. Penmon Priory is one of the oldest churches in Wales, a 12th century church dedicated to a local saint, Seiriol, who lived on Puffin Island. There’s also a small holy well bearing his name in a garden around the corner from the church. There is another small beach next to the coast road which runs back to Beaumaris. It’s mainly shingle and pebbles, with some sand revealed at low tide. Getting there: A minor road runs from Beaumaris, the journey taking around ten minutes by car. Otherwise the 53 and 58 buses from Bangor, Menai Bridge and Beaumaris stop at Penmon village, close to the Priory church. 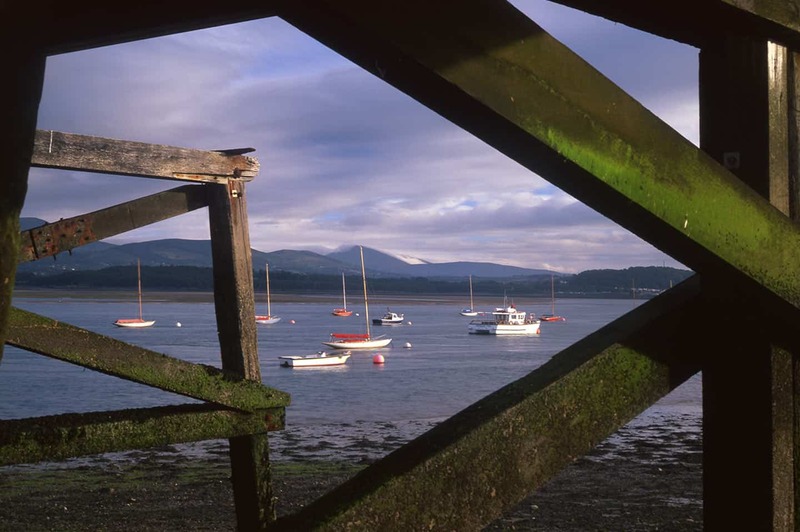 The beach in Beaumaris has a terrific view across the Menai Strait to Snowdonia’s mountains. It’s a mainly pebble beach, with some sand revealed at low tide. The pier is the departure point for several Anglesey boat trips, including the run to nearby Puffin Island and along the Menai Strait. Beaumaris Castle is the one must-see sight in the town. It’s one of the finest Welsh castles, and part of the Gwynedd Castles of Edward I UNESCO World Heritage Site. It may not be as visually impressive as Conwy or Caernarfon, but its design is among the most advanced of all castles in Wales. It was never finished, simply because Edward I ran out of money to do so. Beaumaris has some of the best Anglesey accommodation, and makes a great base to visit the rest of the island. Ye Olde Bulls Head Inn has luxury 5-star accommodation on the High Street, and an excellent restaurant to go with it. There are several other great Beaumaris hotels close by, including the historic Bulkeley Hotel and the Bishopsgate Hotel. The latter is in a beautiful 18th century Georgian townhouse. Getting there: The A545 road runs from Menai Bridge to Beaumaris. Otherwise, several regular bus services call at Beaumaris, including the 53, 56, 57 and 58 from Bangor and the 50 from Llangefni. There aren’t any beaches on the Anglesey side of the Menai Strait, which separates it from the mainland. However, this section of coast is full of intriguing places to see, not to mention some of the best places to stay on Anglesey. If the weather is good, you’re treated to views of the mountains across the water all the way down. 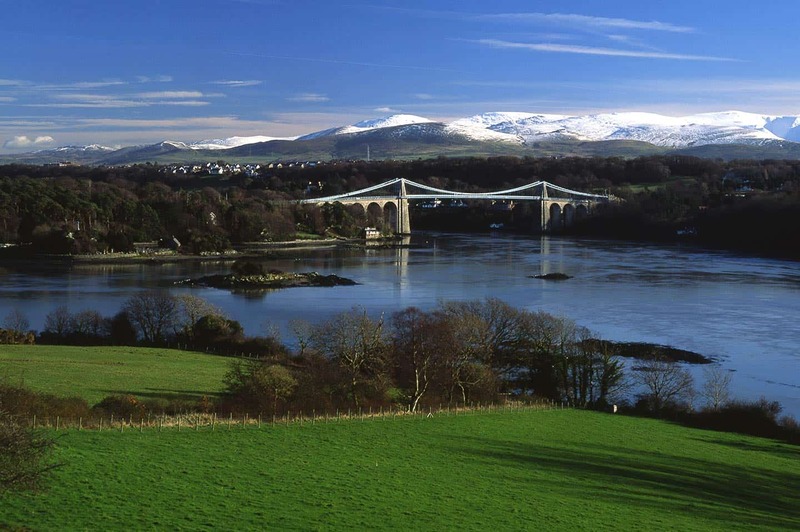 The town of Menai Bridge is the location of the picturesque Menai Suspension Bridge. It’s one of the most iconic sights in Wales, linking the island to the mainland. The less attractive but more functional Britannia Bridge carries the main road and rail links to the island. The Britannia Bridge also passes close to the village of Llanfair PG, the most many visitors ever see of Anglesey. Its original name was Llanfairpwllgwyngyll, but locals extended it to Llanfairpwllgwyngyllgogeryllwyrndrobwllllantysiliogogogoch in the 19th century. The English translation of this is ‘St Mary’s Church of the pool of the white hazels near the rapid whirlpool and church of St Tysilio of the red cave.’ Apart from shooting a selfie at the longest station sign in Britain, there isn’t much to do in the village. Further south, the National Trust-owned Plas Newydd, a grand historic mansion that’s home to the Marquess of Anglesey. The gardens are also superb, and afford fine views over the Menai Strait. Don’t confuse it with the Plas Newydd house in Llangollen, near the English border. There aren’t any beaches around this village at the southern end of the Menai Strait, but there is a cluster of Anglesey attractions worth seeking out. We’ve taken our son to Foel Farm Park, which was a great afternoon out and included a tractor ride in the fields above the farm. Another place to take the kids is Anglesey Sea Zoo, which houses marine wildlife from around the British coast. It’s an ideal place to take kids if the weather’s wet, and you can bring them back as many times as you want in the six days after your first visit. Close by, Halen Mon produce the famous Anglesey Sea Salt, and the visitor centre has an exhibition on how it is harvested from the waters outside. You can also buy some of the produce in the shop. It is some of the best salt I’ve ever tasted. Finally, an honourable mention must go to the Marram Grass Café, on the road into Newborough. It’s quickly grown into one of the best restaurants on Anglesey, and is at the entrance to the White Lodge Caravan Park. Newborough, the starting point of our journey, is just two minutes away by car. Getting there: The A4080 road and a minor road make access by car easy. Otherwise, the 42 bus passes through Brynsiencyn, a 20-minute walk away. Chateau Rhianfa is a sumptuous 19th century castle that looks like it’s come straight from the sketchbooks of Antoni Gaudi. Expect top-end luxury in this fairytale setting overlooking the Menai Strait and Snowdonia. The Bishopsgate House Hotel is another of our favourite hotels in Anglesey. It’s a small hotel in a Georgian townhouse a five-minute walk from Beaumaris Castle. The Bulkeley Hotel is another excellent Beaumaris hotel. It’s a three-star in a wonderful historic building that’s like something out of an Agatha Christie novel. Minus the misdemeanours, of course! The Anglesey Arms Hotel is in a perfect location, just yards from the end of the Menai Suspension Bridge. It’s a pub with restaurant downstairs and rooms on the floors above. It’s at the top end of pub accommodation, and both dinner and breakfast were very good. Tre-Ysgawen Hall is an elegant 19th century country house and spa near Llangefni, in the centre of the island. The rooms are luxurious, the restaurant offers some of the best fine dining on Anglesey, and the central location means you’re ideally placed to visit Anglesey and its beaches from there. The Trearddur Bay Hotel looks out over the broad, sandy beach of the same name. Many of its spacious light airy rooms have sea views. 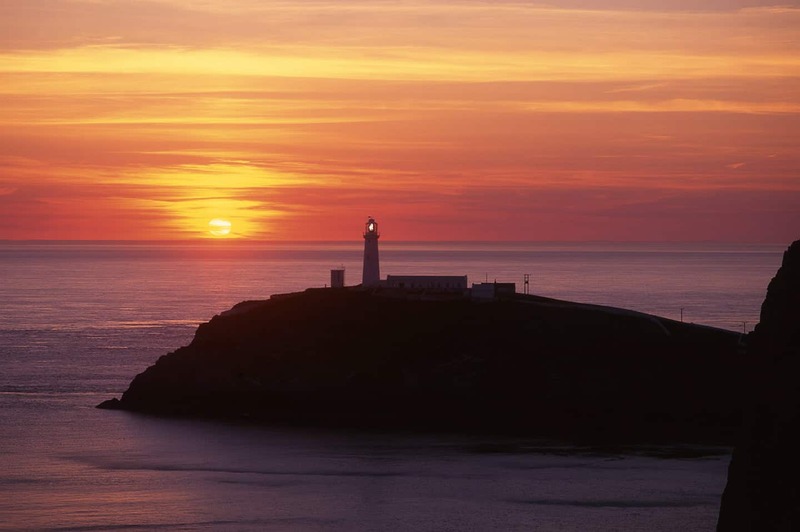 It’s very close (6 km or 4 miles) from the port of Holyhead, and the coastline of South Stack is only a short drive away.